This is the sight that greeted me each morning at my last job. OK, I occasionally pinned up a wrinkled photo of my family Christmas celebration or a score sheet from the last company laser tag outing. (We were all manhandled by our accountant – we called her the "Death Dealer.") Even so, it didn't do much to ease me into the “flow state” needed to craft some solid code. At TurningArt, the cubes are gone in favor of an open floor plan, with twelve people sitting in one room of a converted hair salon. Keeping the foot jacuzzis probably would have sent my productivity through the roof, but although that wasn't possible, I still feel a lot more engaged than I used to. Part of the reason is that we practice what we preach. Every employee at TurningArt has control over the office artwork in their vicinity and can change it up whenever they want. 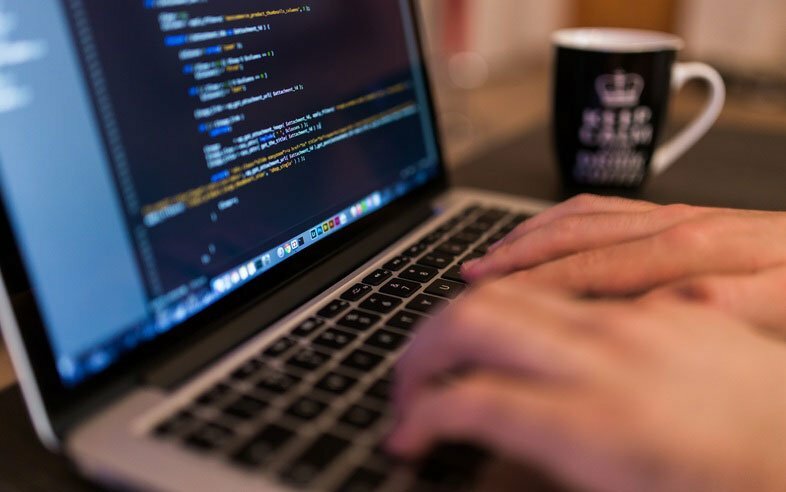 Software engineers, like all knowledge workers, are happier and more productive when our work environment inspires us to put in maximum effort every day. The artwork in our immediate vicinity can have a big effect on that, in several different ways. You don't need me to tell you that achieving a flow state is hard. 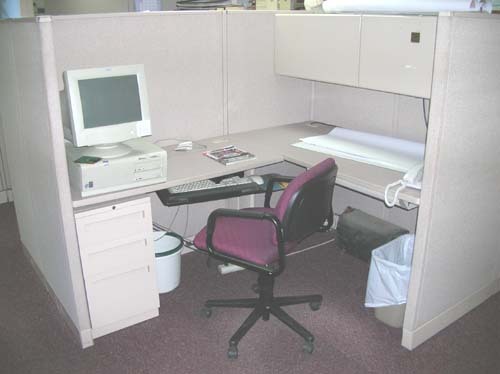 It used to take me the industry-standard fifteen minutes to get there, and that was when my cubicle neighbors stayed quiet, the task was clear, and NERF gun battles were few and far between. Since I've gotten to pick my artwork, a funny thing has happened. 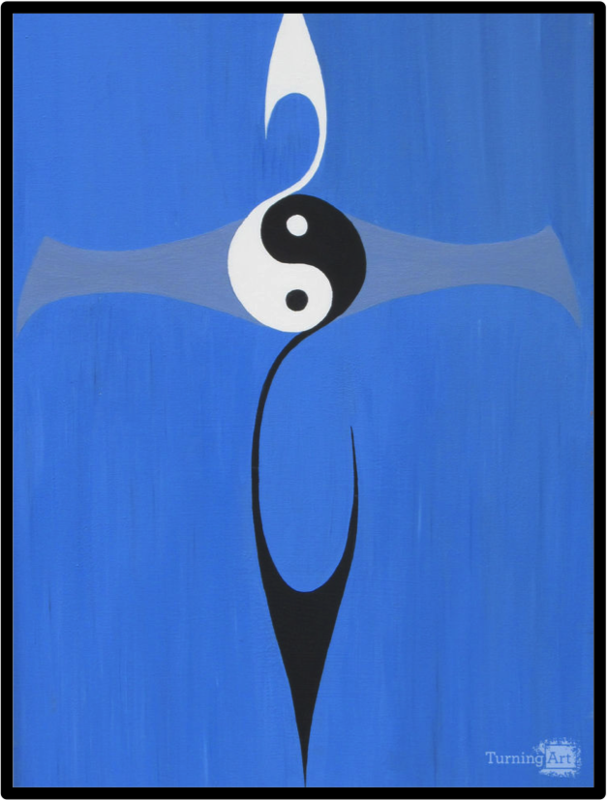 Whenever I'm interrupted -- and as the lead developer at a startup with an open floor plan, that happens pretty frequently -- I've taken to focusing on a centering, meditative piece like David Corbet’s “Balance,” and find myself getting back in the zone a lot more quickly. I suspect this has to do with something called “context-dependent memory,” or, placing ourselves in an environment we’re familiar with to help improve our recall. So, focusing on a familiar part of our visual field may help us reassemble the call stack in our heads faster. 2. Switching it up for a refactor. One of the great things about modern web frameworks is being able to quickly come up with prototypes to illustrate an idea that can be fleshed out later, if it pans out. One of the not-so-great things about time constraints in a startup is that 95% of the time, the prototype becomes the production system and you need to be able to reassemble the engine while the plane is already cruising. 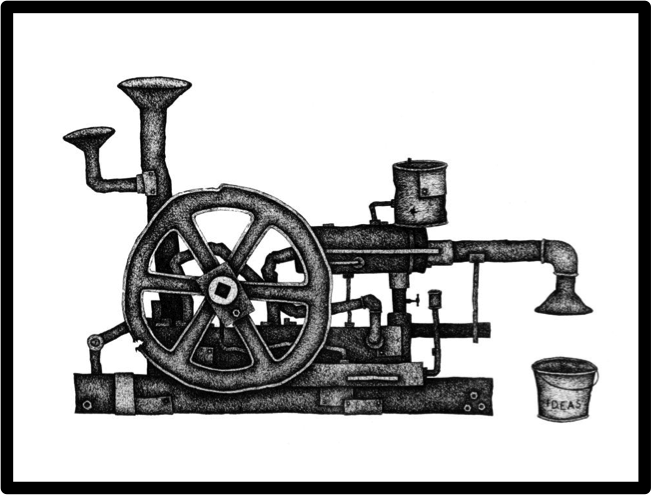 Refactoring existing code can be daunting, and one way I've found to motivate myself to tackle a bigger redesign is by symbolically marking the occasion with new artwork that I can look up to for inspiration when the going gets tough. 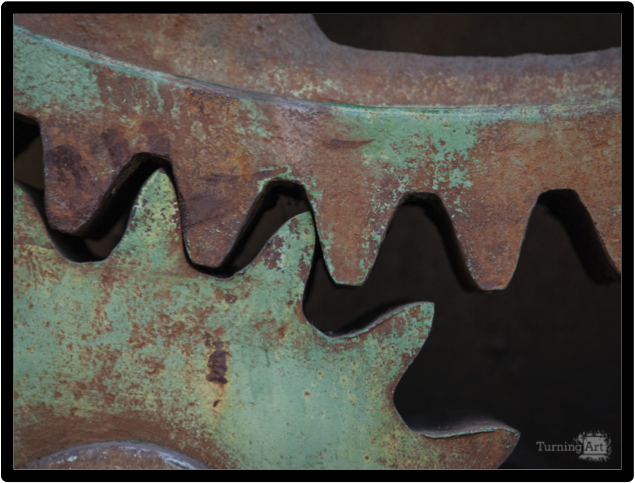 For example, Kevin Bergen's 'Cogs' reminds me how satisfied I'll feel once the gears are aligned just right. The best part of being a software engineer is having the freedom (in fact, the necessity) of educating ourselves about new tools practically every day. I recently deployed our first Ember.js app and had a lot of fun diving into a framework that exercised my brain in a new way. To kick off the learning phase and help deal with its inevitable frustrations, I switched up the artwork to remind myself that curiosity is one of the hallmark traits of a good developer. As Debbie Fong says about her trademark piece, “The Idea Generator;” "Simply input inspiration and motivation into one end, and watch as the Idea Generator churns out fresh ideas. Some maintenance required…"
4. Getting through a tough grind. You know the feeling when the project is coming along just great - on schedule and about 75% done. You're firing on all cylinders, thinking a little more about the design and a couple of edge cases you hadn't considered, and suddenly realize, in dread, that 75% is actually more like 20%. You've got a couple of late nights ahead of you, and you're not looking forward to it. 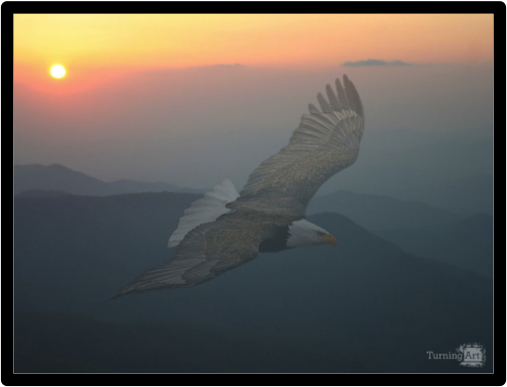 A big, reassuring symbol of success is just what I need at a time like that, and it's helped calm my frayed nerves more than once to see someone like this guy and be reminded that I'll be able to soar past a temporary setback the Code Gods have thrown my way. Everyone works in a different way, even one developer to the next. And therein lies the beauty of rotating art. Everyone gets a say and can find the piece that will get them into their flow state, help them refactor, learn, and grind it out. 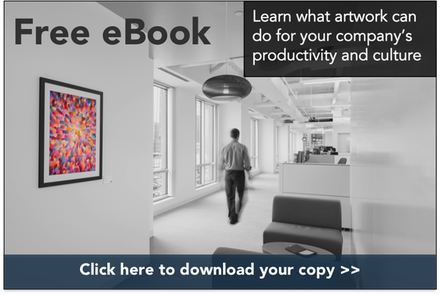 If you’re interested in learning more about how art can impact overall employee productivity and company culture, take a look at our eBook! Kristof hails from Medford, Massachusetts by way of Budapest, Hungary and lots of places in between. When he's not busy running the TurningArt web site he stays in shape playing squash, frisbee, and backgammon. The son of a philosopher, he's also in charge of keeping the team on an even keel through the startup roller coaster with a steady supply of aphorisms.